Healthy is not just for the Wealthy! 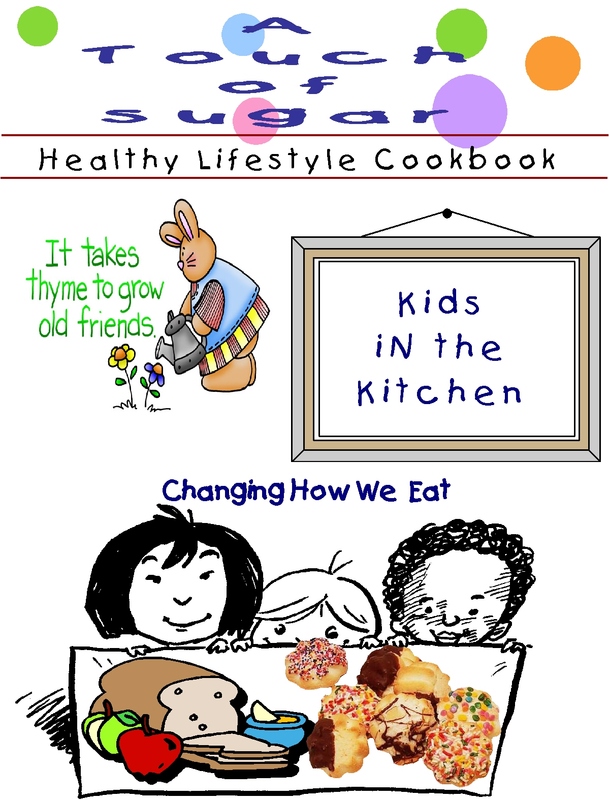 Thank you for your interest in our cookbooks. With the recipes contained in them, you won't need us. You or someone you designate, can cook the same foods we prepare right at home. All recipes are easy to prepare, with ingredients that are affordable and easy to find,at your local grocery store. Nothing hard, expensive or exotic here. Just plain old good tasting everyday food prepared in a healthier way. Online Ordering: Just select from the choices below. Allow approximately 10 days for delivery. CLICK HERE FOR MAIL-IN ORDER FORM FOR CHECKS AND MONEY ORDERS. Coming soon: Renal Diet Cookbook for Dialysis and Gluten-free Cookbook for celiac disease, Healthy Lifestyle Cookbook for Cancer Survivors. 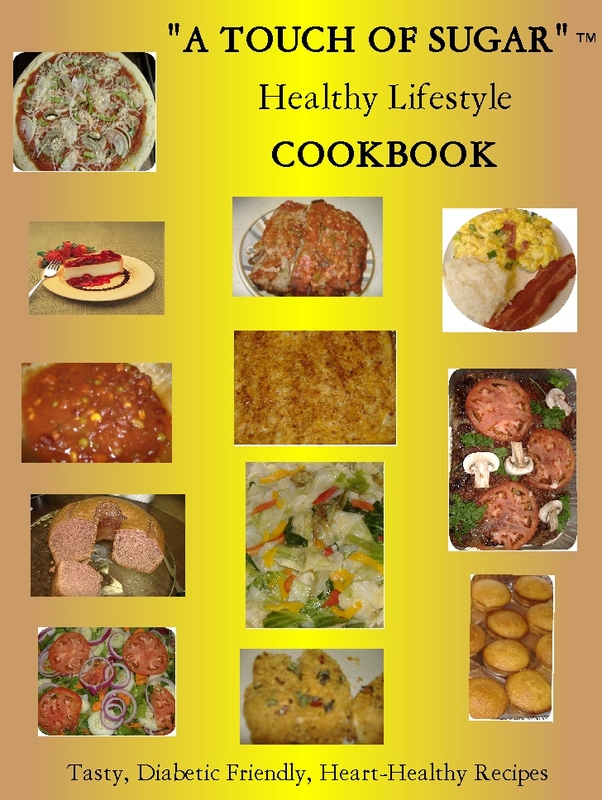 Our original cookbook 52 page cookbook with our recipes that were featured on the Food Network.Recommended for persons just learning to cook more healthful foods and desserts. These recipes will give you a strong basic foundation and knowledge of healthful cooking practices. Includes oven-fried chicken, macaroni and cheese and cheesecake. Using easy to find, familiar ingredients found at your local grocery store you will make your own home-made seasonings, salad dressings, desserts, meats and appetizers. Our newest 82 page cookbook that takes off where our original cookbook left off takes you to that next level in healthful cooking. and beyond. Using easy to find, familiar ingredients found at your local grocery store you will make your own home-made seasonings, salad dressings, desserts, meats, sides and appetizers. 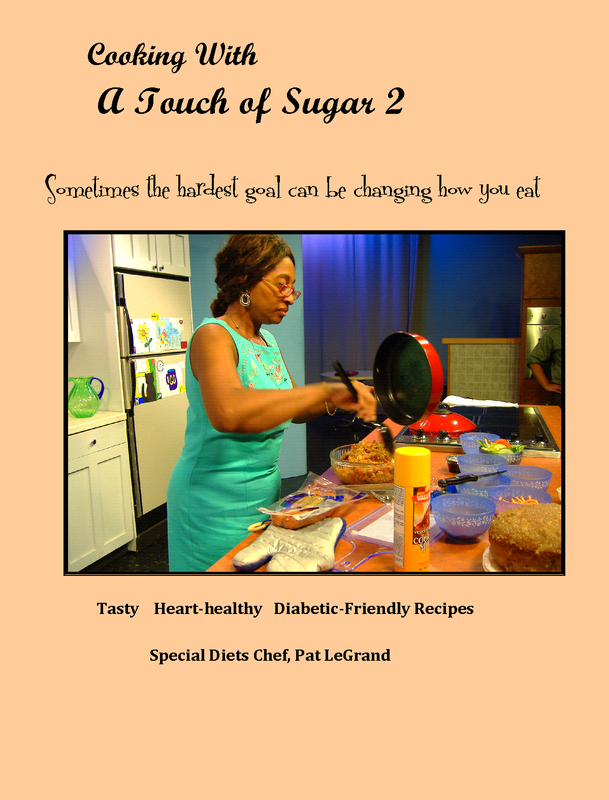 To order A Touch of Sugar Healthy Lifestyle Cookbook and Changing How You Eat, please order here and save a few dollars. See description above for each book.